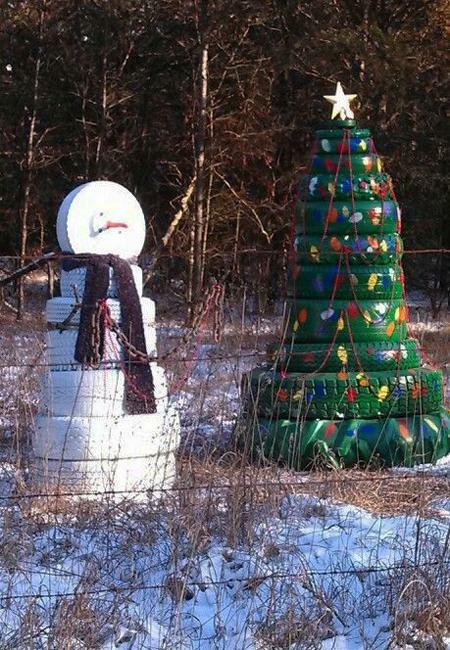 Old car tires are fun to recycle for improving yards and winter decorating. 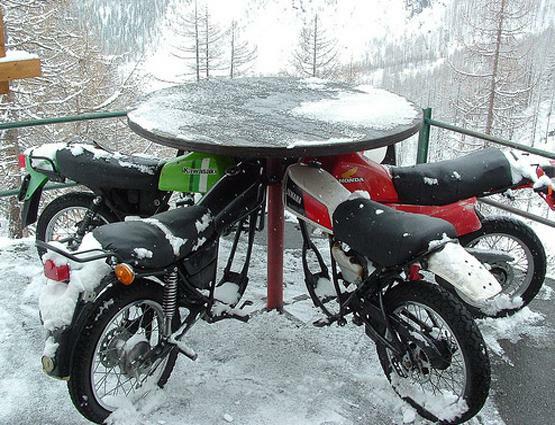 Car tired can make picnic tables, garden furniture, and winter yard decorations like snowmen or Christmas balls. 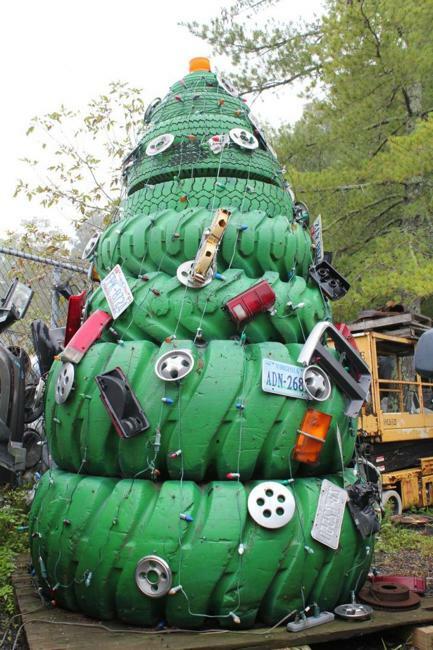 Alternative Christmas trees and door wreaths created with old tires are excellent recycling ideas also. The original handmade designs spice up winter decoration ideas and add more fun to the festive season. 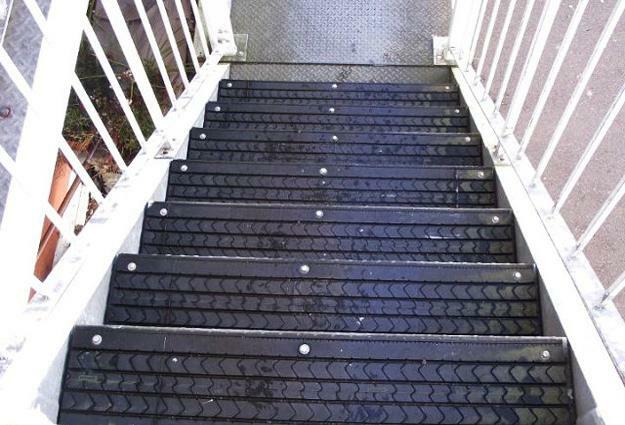 Used tires provide a great anti-slip material for creating safe stairs in winter. Lushome shares inspirations for recycling car tires and making unique designs that transform winter yards into safe, inviting, and bright outdoor spaces. There are many attractive winter decoration ideas for home interiors and yards. Old tires are ideal for creative crafts and garden decorations. 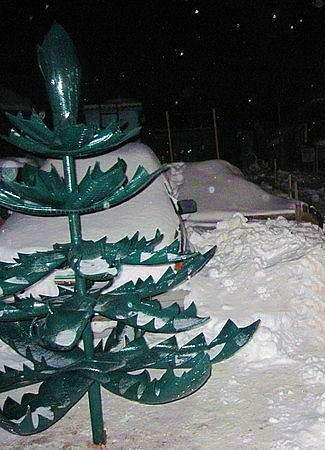 Outdoor Christmas tree designs, snowman sculptures, giant snowflakes, and wreaths made with tires look impressive with white snow. The Green ideas turn junk into beautiful yard decorations while protecting the planet and giving character to outdoor living spaces. 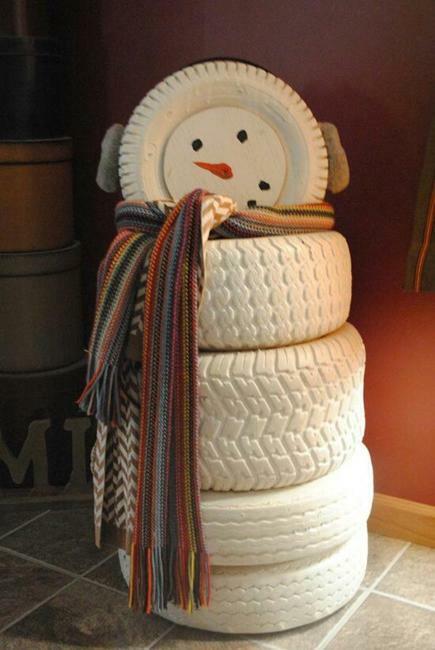 Winter decorating with recycled tires brings plenty of creative ideas for skillful hands. 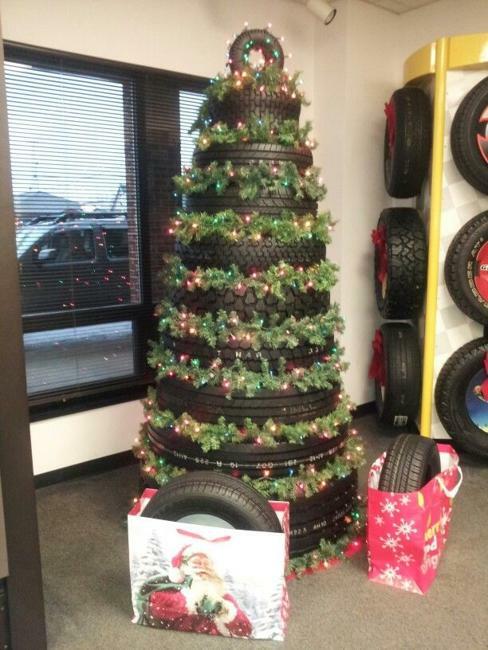 Many people use old tires to design original and eco-friendly ornaments for Christmas, fall and winter holidays. Car tires allow to decorate yards unpretentiously and create porch and garden decorations that are Green, original, and eye-catching. 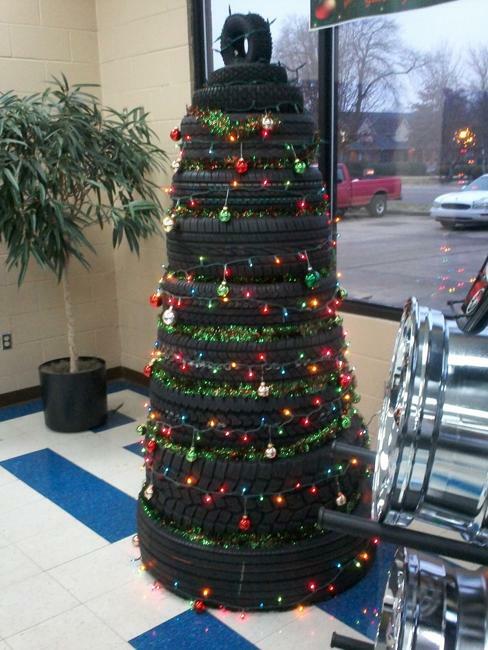 Tires make fantastic fall or Christmas wreaths, alternative Christmas trees and porch accents for Green Christmas. 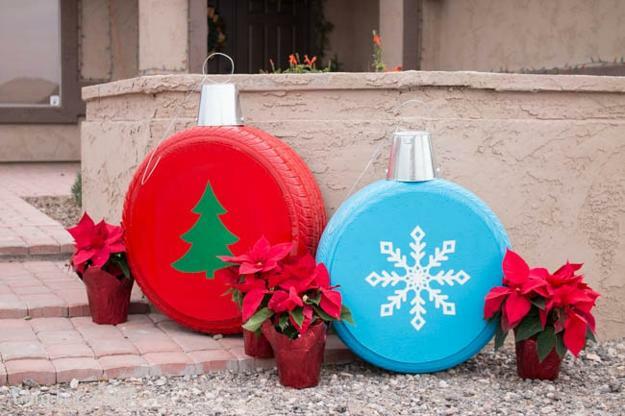 Used tires are cheap ways to enjoy crafts and turn your outdoor living spaces into a bright winter wonderland. Beautiful snowfalls create light backgrounds for displaying unique handmade designs created with recycled tires. 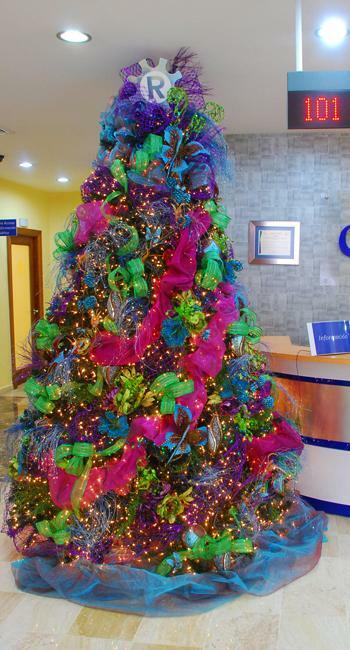 Alternative Christmas trees with lights and outdoor decorations, snowman sculptures, and huge wreath are simple ways to add more interest to Green holidays. White paint or any bright color is perfect for highlighting tire designs as winter days and nights can be dark to see black yard decorations made with tires. Christmas lights and white paints are the best combinations for illuminating your garden decorations and decorating accents on your porch. 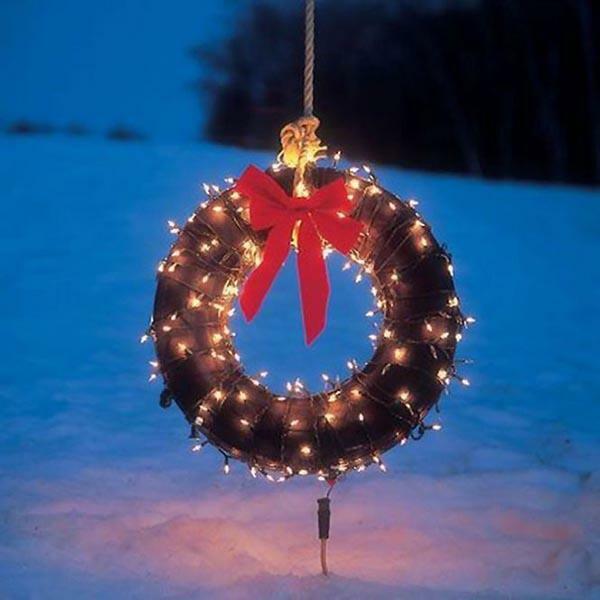 Recycling tires for winter wreath and large snowflake ornaments are particularly easy, quick, and inexpensive winter decoration ideas. Old tires can be adorn with handmade designs, old toys, outdoor decorations or natural materials like pine cones and evergreen branches. Ribbons, bells, fruits and winter themed decorations enhance the spirit of the beautiful winter holidays. 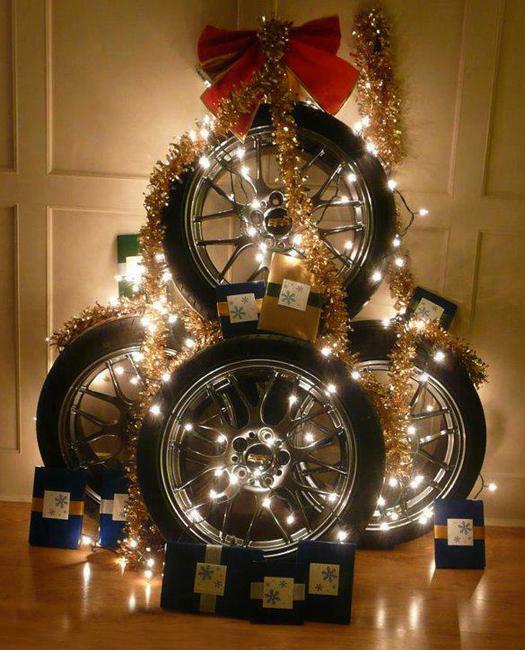 Tire wreaths are not just for Christmas decorating. 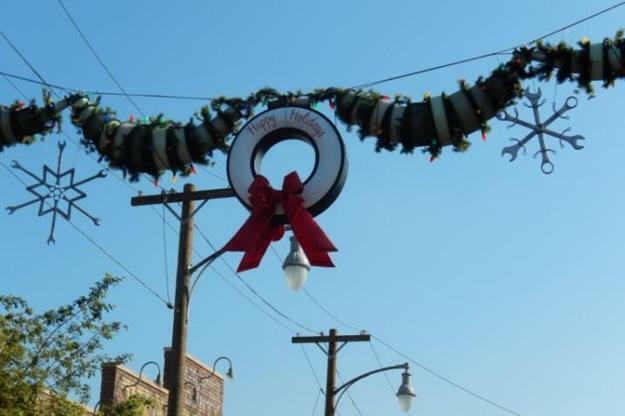 Recycling tires for wreaths create fantastic yard decorations for all seasons. Adding greenery, fall leaves, spring flowers or summer themed decorations to handmade wreaths help to match the natural change of the seasons. 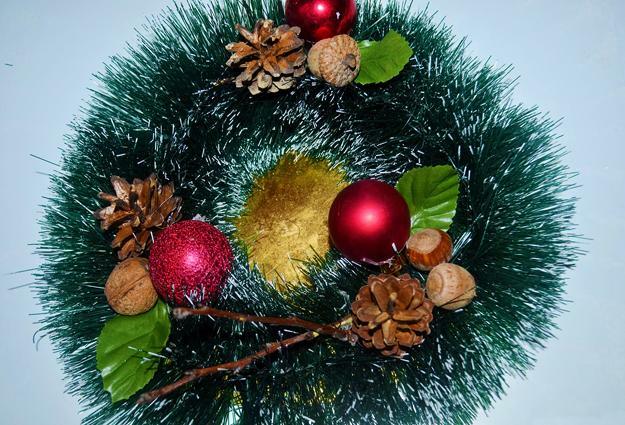 Winter decorating calls to adorn the wreath with items associated with cold weather, snow, ice, and Christmas. Pine cones, white, green, red ribbons, golden and silver charms, and snowflake ornaments are excellent winter holiday decor. 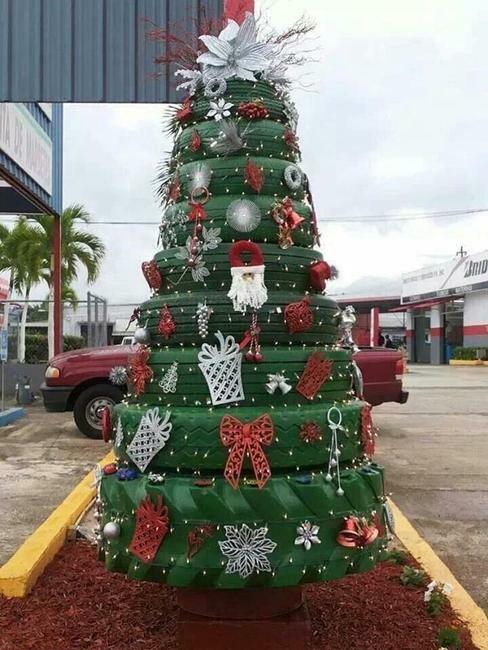 Be creative, think of innovative ways to recycle old tires and make unique, spectacular, and cheap decorations for the winter season.